Time is running out to reserve your announcement space in the upcoming issue of Brides of North Texas magazine! If you’re looking for the perfect keepsake and a great way to commemorate your big day, announce your wedding or engagement in Brides of North Texas magazine! All announcements are full-color and include several pictures along with a write-up! 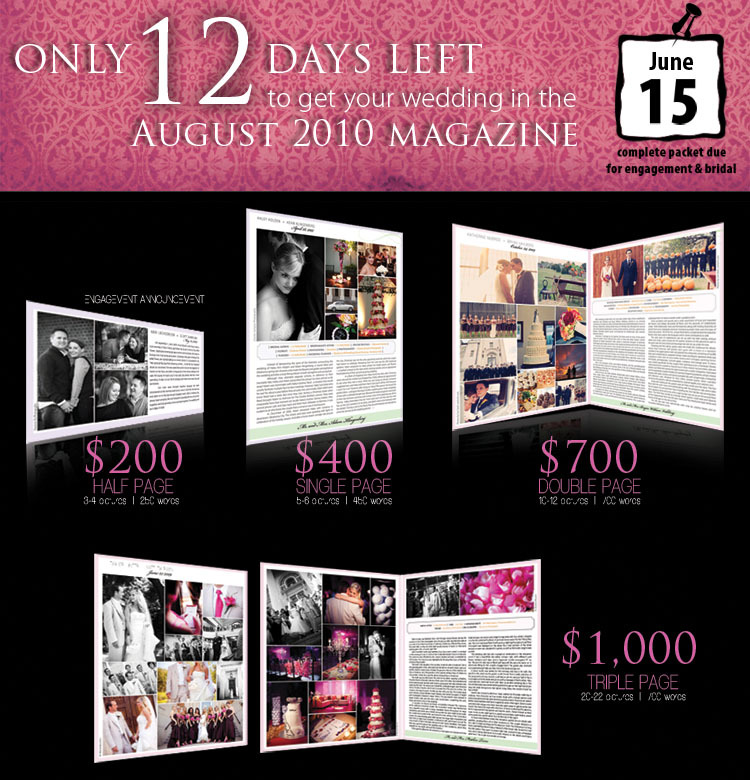 Brides can choose from a single, double or triple-page wedding announcement or an engagement announcement! The deadline to submit your engagement or wedding announcement for the upcoming August issue is less than two weeks away on June 15! Be sure to reserve your spot online right away — space is limited! Reserve your space online by following this link. For an engagement announcement, click here. For more information or if you have any questions, email Alli at alli@bridesofnorthtexas.com or call 214.347.9470. « Previous Post: Have A Ball!